In Haiti: 'Baby Doc' Duvalier Taken Into Custody : The Two-Way It's unclear whether the former dictator has been arrested or is only being held for questioning. Jean-Claude Duvalier, the former Haitian leader known as 'Baby Doc', waves to supporters from a balcony of the Hotel Karibe on January 16, 2011 in Port-au-Prince. Former Haitian dictator Jean-Claude "Baby Doc" Duvalier, who Sunday returned to his island nation from exile, was just taken into custody by police in Port-au-Prince, the cable news networks are reporting. "The former dictator known as 'Baby Doc' was led through the hotel by a contingent of police. He did not say anything as he was out the back of the hotel. Asked by journalists if he was being arrested, his longtime companion Veronique Roy, laughed but said nothing." "A judge questioned the former dictator known as 'Baby Doc' in an hours long, closed-door court session, defense attorney Gervais Charles said. The decision to move toward a trial makes clear that whatever Duvalier's reasons were for returning to Haiti on Sunday, the government is poised to take the opportunity to seek justice for his long-vanished regime, widely regarded as brutal and corrupt." "Charles said the case is now in the hands of a judge of instruction who will decide whether there is enough evidence to go to trial, a process that can take up to three months." On All Things Considered yesterday, writer Amy Wilentz discussed the brutal dictatorships of Duvalier and his father ("Papa Doc") -- and the younger man's return to Haiti. Duvalier fled Haiti in 1986 and most recently had been living in France. 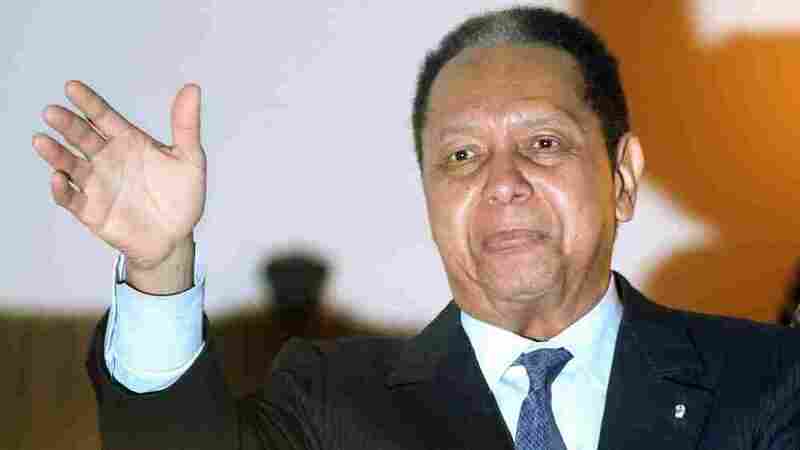 Earlier today, the BBC reported that Duvalier "is to be questioned by police, officials have said. He will be 'at the disposal of' Haiti's judicial system, a senior government official has said. ... There have been growing calls for Mr Duvalier to be prosecuted for the alleged torture and murder of thousands of people during his rule in the 1970s and 80s. Upon his return, Mr Duvalier said he had 'come to help' after last year's earthquake." Duvalier was 19 when he took control of Haiti following his father's death in 1971. 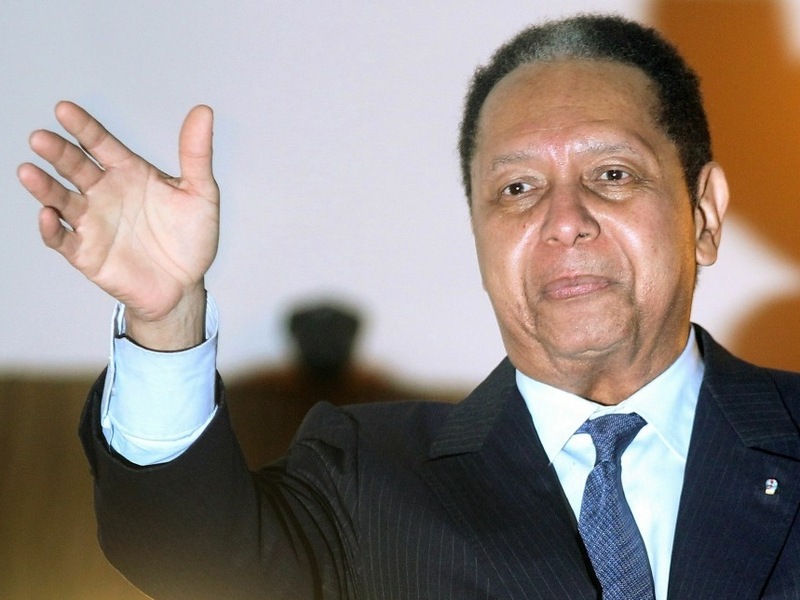 "Haitian police led ex-dictator Jean-Claude Duvalier out of his hotel in Port-au-Prince and took him to court Tuesday without saying whether he was being charged with crimes committed under his brutal regime. His longtime companion denied that he had been arrested." Correction at 1 p.m. ET: Earlier, we said Duvalier had returned to Haiti "yesterday." It was Sunday when he came back. We've updated the post to make that change.